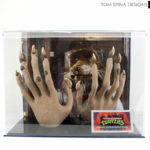 Master Splinter TMNT prop display with acrylic case. 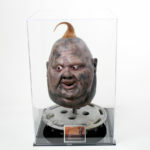 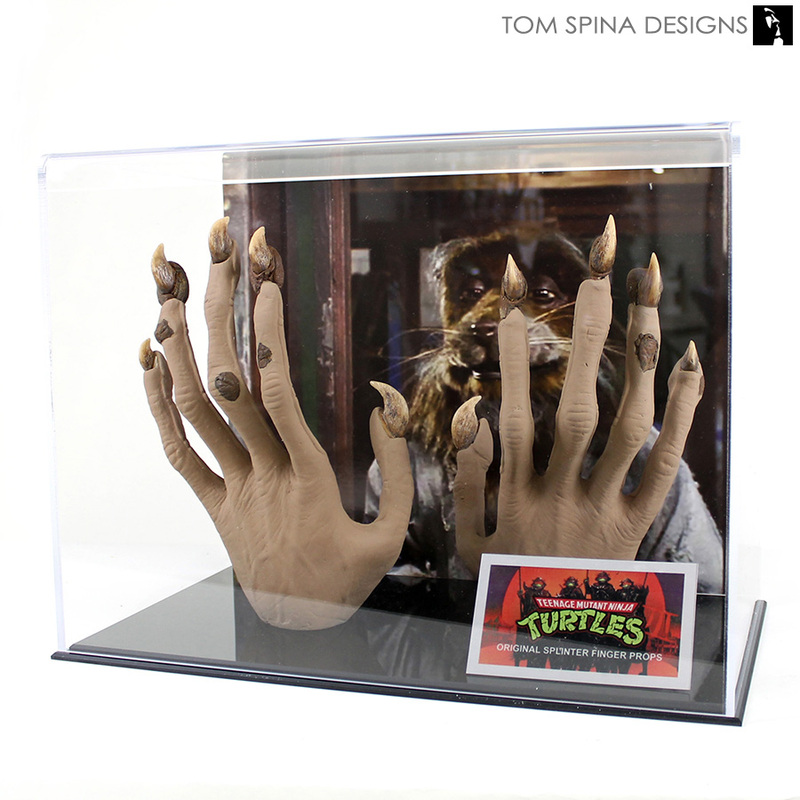 A custom display created for a original Master Splinter TMNT prop from Teenage Mutant Ninja Turtles 3, Turtles in Time. 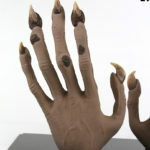 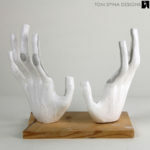 Most people would look at the pieces which were left of Master Spinter’s foam latex puppet hands and would have written them off as a lost cause. 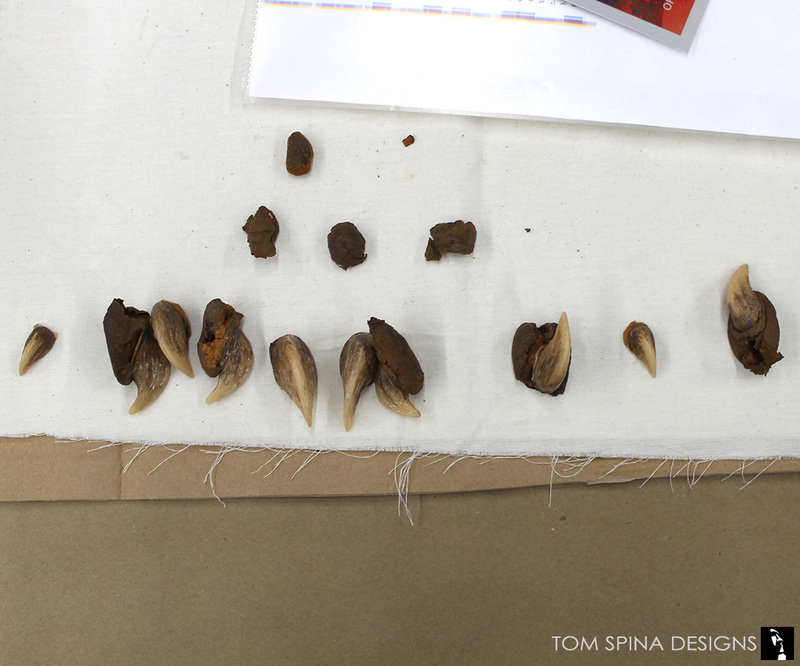 But this client was very adamant about coming up with a way to display this pieces to help preserve these bits of history in a way that gave them context and style. 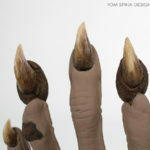 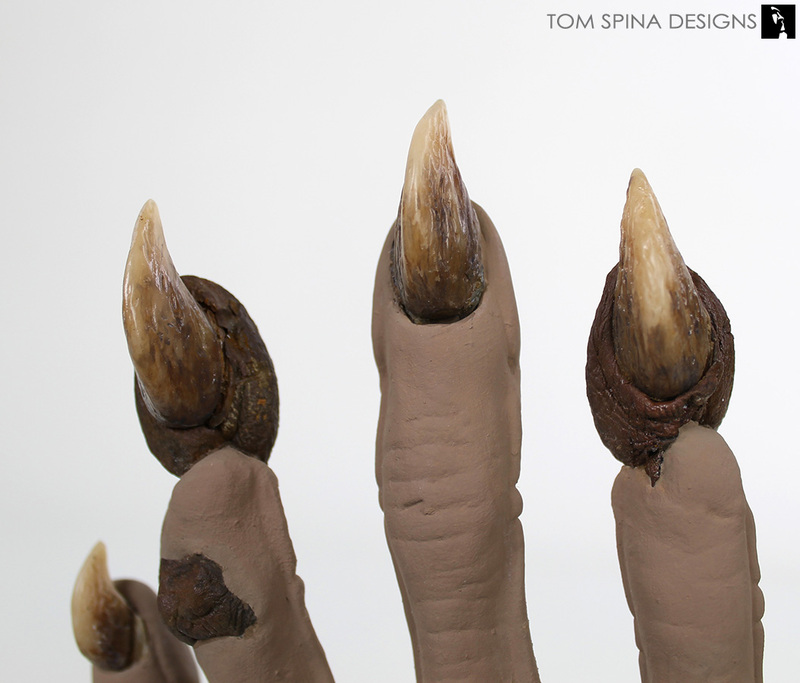 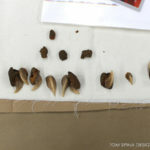 What we came up with was a pair of custom sculpted hands where we could insert the small fragments of the original hands and claws. 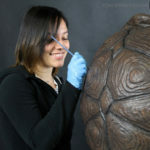 Before adhering the surviving pieces we also sealed any of the foam latex areas to help them stand up to the test of time. 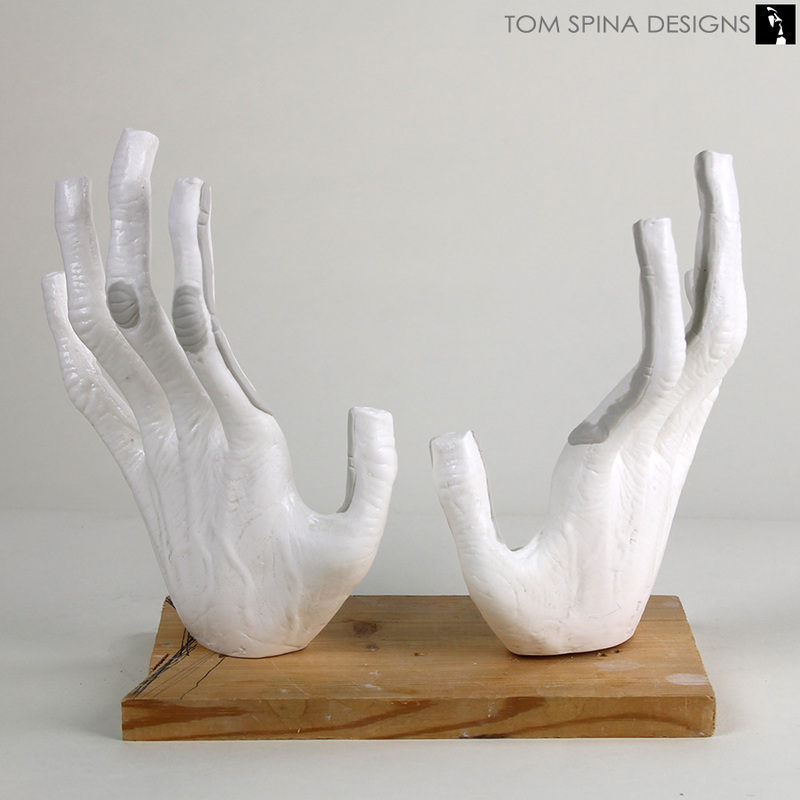 We then carefully attached them and sculpted the surrounding areas to help hold the pieces in place. 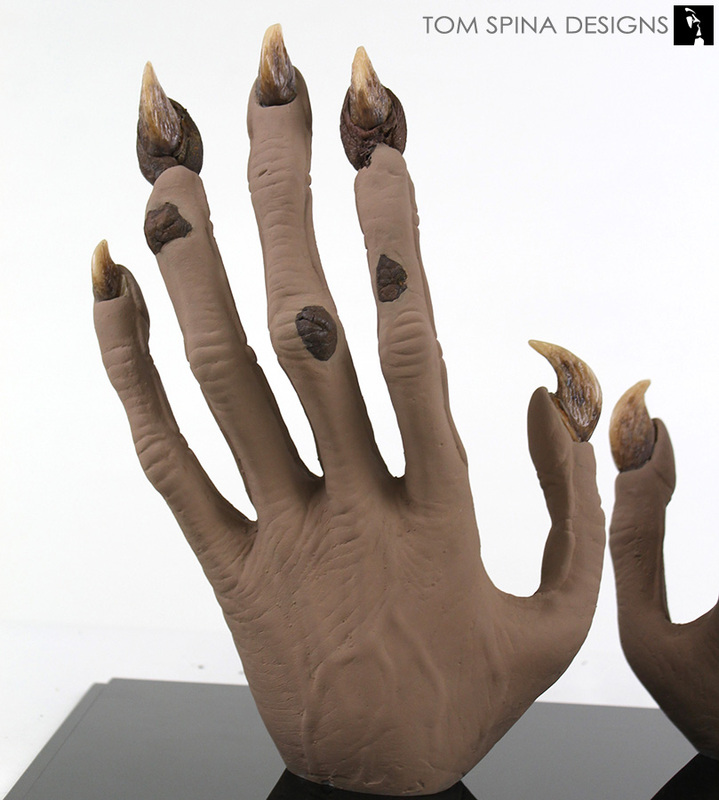 We really wanted to keep all of the focus on the original pieces so instead of painting the hands to match the pieces, we chose a complimentary color which makes the original areas the pop and stand out in this Teenage Mutant Ninja Turtles prop display. 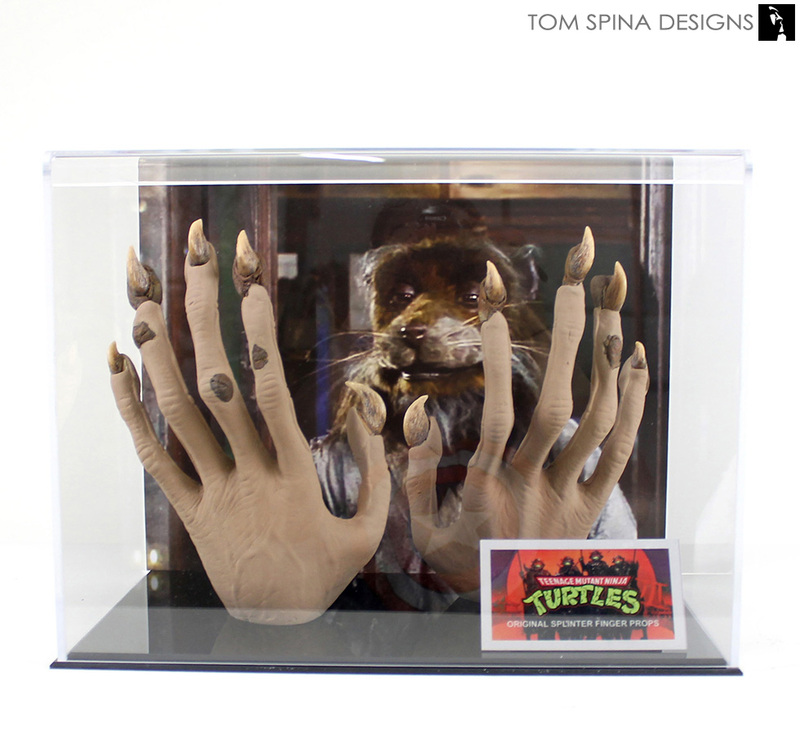 Since the pieces were already in a very delicate condition, a custom acrylic display case seemed like a no brainer. 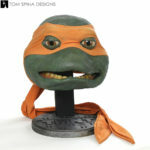 We also added a custom designed and printed metal plaque, as well as a photo backdrop showing Master Splinter himself! 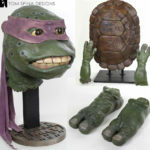 We’ve been fortunate enough to work with quite a few Teenage Mutant Ninja Turtles movie props and costumes, so drop by again soon to see what else we’re restoring here at the studio!